For some time now I have been sharing my play time for numerous games on the Nintendo 3DS thanks to the awesome Activity Log application of the system. I've been posting on and off again for four years with regard to my play time on various 3DS games and apps. However, I've never posted results for an entire year. Well, this is about to change with a glimpse into the Nintendo 3DS games that saw either myself or Bean spending the most time on for 2014. 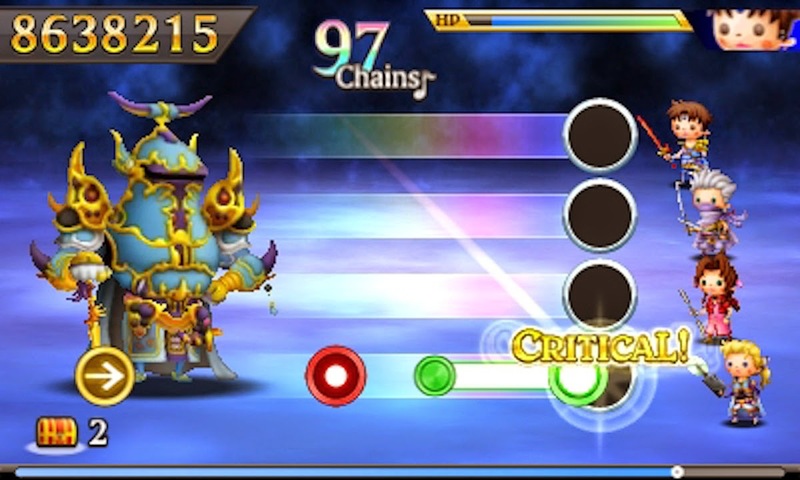 While other games interrupted my time with the latest in the Theatrhythm series, what I did get to experience with Curtain Call was mighty entertaining and engaging. With over 200 songs, half of which I didn't even get to play due to my relatively small play time with the game, I know that when I do eventually come back to Theatrhythm Final Fantasy: Curtain Call, I'll have a blast and enough to occupy my enjoyment for a long time. Plus, you can't just leave a good portion of the characters locked up from use, right? Sometimes I get very antsy when playing games in the Professor Layton series. When I get stuck on a particularly tricky puzzle, I just want to look at the answer and continue the story. However, with Professor Layton and the Azran Legacy, released early last year, I decided against doing that. I took the game slowly, using what little brainpower I had to solve the game's many brain teasers in fashion that was less about rushing and more about letting each sink in. 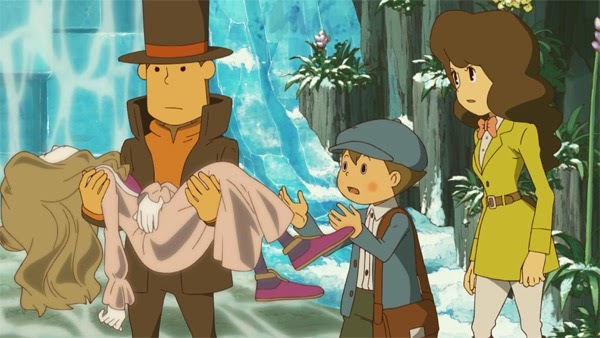 It made this Layton game a very rewarding experience for me and a mighty enjoyable one, too. This year Nintendo is giving us a brand-new console Yoshi 2D platformer, but last year we saw Yoshi's New Island on the Nintendo 3DS. While the music suffers from either being the same melody with various versions or an obnoxious cacophony of kazoos, the gameplay manages to be quite nice. The story levels are adequate, but the real challenge comes from the unlockable bonus levels, one for each world. Whether you're using Poochy as a moving platform to avoid a spike-filled death or setting off switches in a swift and life-saving fashion, these levels are some of the hardest yet fair levels in a Yoshi platformer. 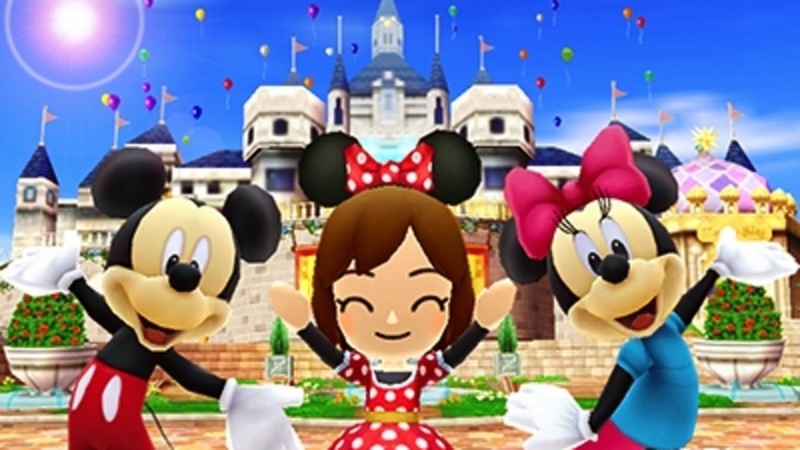 I received an invitation to the wonderful world of Disney with Disney Magical World, a game that is part inspired by Animal Crossing and part dungeon crawler. The fun was in interacting with the various Disney characters like Mickey, Minnie, Donald, Goofy, Aladdin, Cinderella, and more, assisting them with their various problems. These problems could be as simple as fetching an item for someone, growing crops, entering one of the game's many dungeons, and more. Disney Magical World managed to hold my attention for a long time, and had it not been for other releases, I'd probably still be playing it. There is so much to do in Level 5's Fantasy Life. While the main story is bogged down by an immense amount of text and exposition, the real fun comes from choosing from one of twelve Lifes (or job classes essentially), completing objectives to earn points that allow you to eventually master it. You can change your Life at any point, so you're not stuck with your first choice. Many hours were lost after the words "just one more thing", as Fantasy Life can be quite addicting, collecting treasure, defeating massive monsters, and performing duties related to your Life. It's 2015 and I'm knee-deep in the adventure still. Expect a review later this month! Speaking of lives, Tomodachi Life is a critical and sales success story of Nintendo. Using Miis as the main characters, you interact with them in various different ways. Sometimes you just need to feed them food. Others you need to play Cupid and meddle with their love lives. The collection aspect of Tomodachi Life was what really drew me into playing the game so much. Whether it was new outfits, new room types, or new prizes, the game kept me engaged despite the occasional menial tasks involved. My favorite game of all time was played by Bean in both regular and Master Quest modes. This was before he got my hand-me-down original black 3DS to call his own. 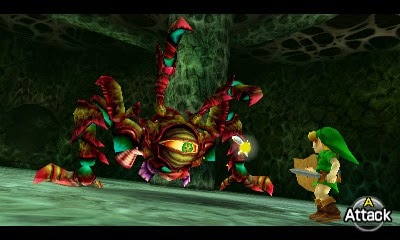 It had been a long time since Bean played a 3D Zelda game, and while he was somewhat familiar with Ocarina of Time, the new challenges and alterations of the Master Quest proved to shake things up considerably. Now that I think about it, I never tried the Master Quest for myself, despite loving this 3DS incarnation so much. With news that this first-ever handheld edition of Super Smash Bros. was causing some 3DS owners problems with their Circle Pads, I had a bit of trepidation going balls-to-the-wall serious with the game. However, with nearly every trophy collected and nearly 45 hours of play time to my and the game's name, I think it's safe to say that I got over my worry of breaking my 3DS's Circle Pad. Oh, and the 44:52 is from my Nintendo 3DS XL. My brother got a lot of Smash Bros. action on his own 3DS, too! Hot Shots Golf Fore, the N64 Mario Golf, and We Love Golf! 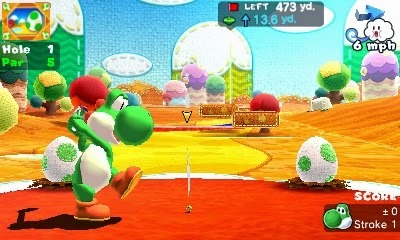 were usurped in the "my favorite arcade golf game" department last year with the release of Mario Golf: World Tour. Offering an abundance of modes, charming characters, interesting courses both realistic and fantasy, and numerous collectibles for one's Mii, World Tour is a game that I spent so much time on. Whether it was the online tournaments which awarded players for simply participating, the offline challenge mode, or the Mii-centric Castle Tour, Mario Golf's latest brought the goods. The game that was played most in not only 2014 but the year prior as well, Animal Crossing: New Leaf is a gift that keeps on giving. While my adventures in Central are over for the time being, Bean enjoyed the game further. Of course, I won't play New Leaf again for fear that my favorite villagers have left and that the town is in utter chaos now, but I realize this is just my OCD talking. Still, I can't help but feel in some silly way that I have let down my various villagers by being absent for over a year now! If you're interested in a previous play time post, check out these links!